A waterproof and padded wheeled Ski Bag, the SnoKart 2 Ski Roller Zoom Bag transports two pairs of skis and poles with ease. Its double zoom feature allows extension from 165cm to 185cm and then on to 205cm, neatly accommodating various ski lengths. A waterproof and padded wheeled Ski Bag, the SnoKart 2 Ski Roller Zoom Bag will transport two pairs of skis and poles with ease. Its double zoom feature allows extension from 165cm to 185cm and then on to 205cm, accommodating various ski lengths. A Ski Bag with wheels makes for very easy travel from home to resort - simply tow it along behind you - even through busy stations as you dash to the platform, or queue at the check-in desk. 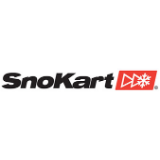 This SnoKart Ski Bag can be used to transport either two pairs of skis and poles, or one pair of skis, poles and a great deal of ski wear, allowing full advantage to be taken of checked-in luggage. The Snokart 2 Ski Roller Ski Bag has an internal divider/binding protector to keep all your kit safe as it's processed through the airport. 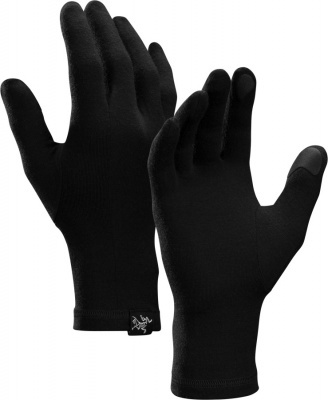 Its waterproof, padded construction affords protection to skis and surrounding items. This neat Wheeled Ski Bag can accommodate two pairs of skis - even touring or powder skis - of up to 205cm long, their bindings, and poles, or alternatively one pair of skis and poles and a reasonable amount of clothing, perhaps allowing you to travel with hand luggage only to save airline costs! The double zoom feature ensures neat carrying of shorter skis. Simple to maneuver while travelling and on snowy resort paths, the Snokart 2 Ski Roller Zoom Bag has large, easy-roll, ultra-durable truck wheels and a chunky pull handle. Adjustable double shoulder straps, for comfortable carrying when needed, can be zipped away for airport handling. Dual compression straps pull in excess fabric keeping the load tidy, while the SnoKart 2 Ski Roller Zoom Bag's durable base and skid rails protects the bag and cargo. 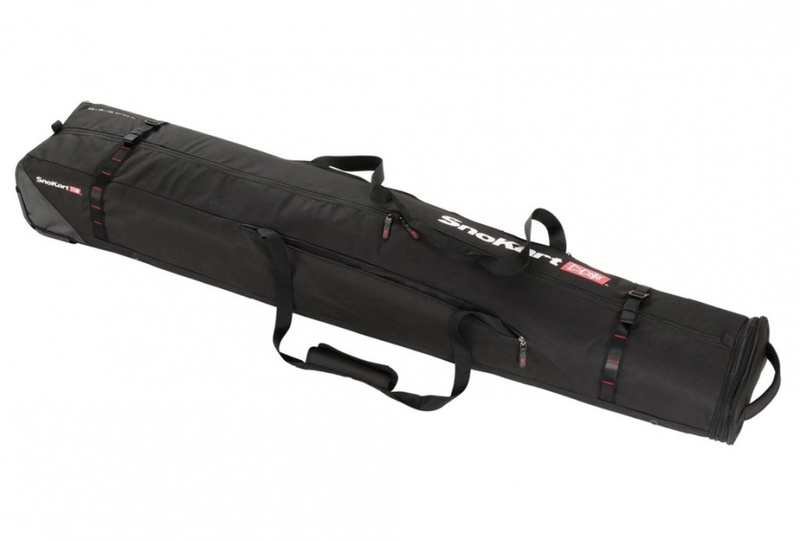 A great ski bag for couples, or friends skiing together - the SnoKart 2 Ski Roller Zoom Bag enables you to pack both sets of skis in one bag - saving money by eliminating the need to check in two separate ski bags. Ergonomically designed for maximum storage and minimal inconvenience, the ultra-durable Snokart 2 Ski Roller Zoom Bag safely transports skis and poles from home to mountain. This Ski Bag's chunky wheels make for effortless travel through airports, train stations, and then in ski resort along icy snow-packed pavements. 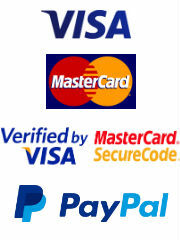 Well made and flexible product. Ideal for 2 sets of piste skis but might be a little tight with 2 pairs of off piste beasts.